As the forces of digitalisation reshape our business world, your ability to adapt and grow, to embrace more flexible workstyles, mobilise your workforce, and develop profitable new customer relationships depends on a modern, adaptable and intuitive communications infrastructure. 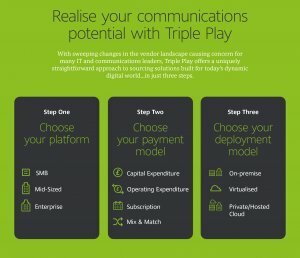 Realise your communications potential with Triple Play..
With sweeping changes in the vendor landscape causing concern for many IT and communications leaders, Triple Play offers a uniquely straightforward approach to sourcing solutions built for today’s dynamic digital world…in just three steps. Triple Play radically simplifies solution identification and evaluation, delivers unmatched levels of customer choice and puts you in control from the very beginning. 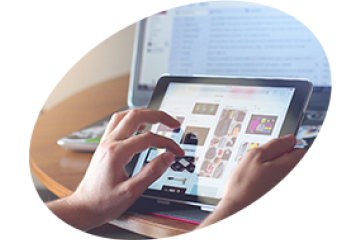 Perhaps your business has outgrown your current communication system and you need to empower and mobilize your workforce? Or has your system reached end of life and support? Be proactive, and don’t wait to fall behind! 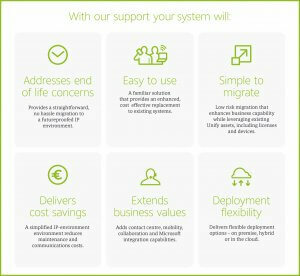 Call us on 01226 704 610 to explore the award winning OpenScape unified communications and collaboration portfolio that caters for all business types and sizes.